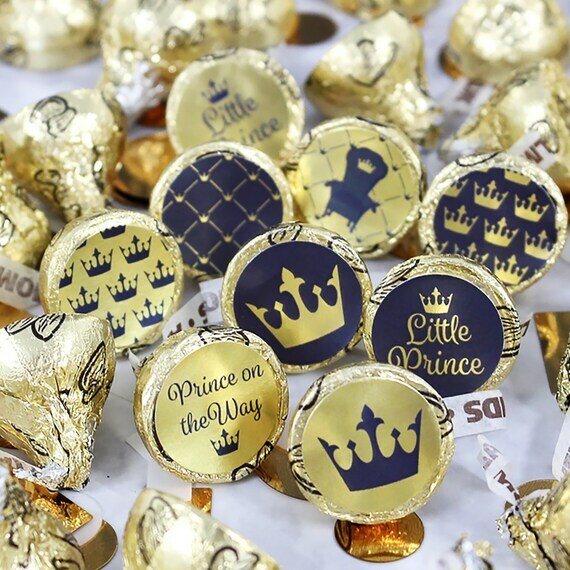 Royal Prince Metallic Foil Baby Shower Stickers: each set includes 324 round stickers (3 sheets total). ● REAL GOLD FOIL STICKERS. ● Theme: blue and gold.